Mount Etna in Sicily erupted as a global tourist destination in the year 2013 when UNESCO declared it as a World Heritage Site by virtue of its “exceptional level of volcanic activity.” Since then, Mount Etna has attracted hordes of tourists every year with the charm of beatific scenery and the mysterious landscape filled with oozing lava, volcanic rocks and black sand. Not only is Mount Etna known for its importance as a natural attraction but also for its cultural and scientific significance. You might not find any beaches around to relax in or some historical architecture to marvel and still this mountain will draw you in with the sheer grandeur of the volcanic ‘rivers’ of solidified lava and its skiing opportunities. How to reach Mount Etna in Sicily? The best way to travel to Mount Etna is through the bus route. 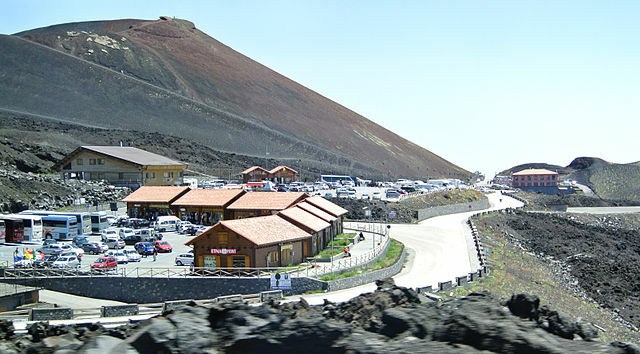 Boarding a bus from the bus stop at Catania would afford you a trip to the Rifugio Sapienza, which is about a 1500 meters below the southern summit. Just make sure that you reach at the Catania bus stop at 4:30 pm sharp for if you miss it, finding an alternate transportation facility which would take you down would be really hard. You will have more than enough time to trek up the mountain and soak in all the beauty of the scenery with some old fashioned touristy wandering. You can also check out the agencies in Taormina which offer organized tours around the mountain. When you are visiting Mount Etna as a tourist, you can’t just miss a trip to the Etna National Park which covers a distance of 581 kilometers and encompasses twenty towns. Take up a hiking adventure and you will be able to witness a vast diversity of landscapes starting from barren fields filled with lave to volcanic craters and even vineyards. Do you want to know the best bit about hiking in this Italian mountain range? You can enjoy it during all seasons! The volcanic soil of Mount Etna is far from barren and in fact supports the growth of a multitude of orchards filled with hazelnut, chestnut and apple trees. This is one of the reasons you would regret going there and not drinking the local wine fertilized by the volcanic ash. Once you taste the wine, you will realize why it is considered to be the unique treasure of the region. 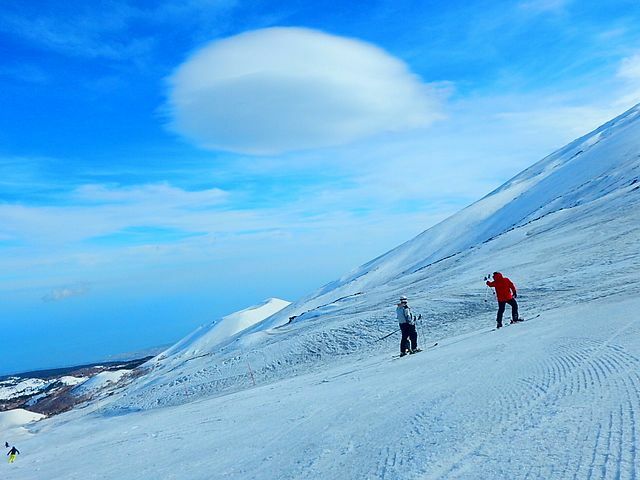 Try to stay at any one of the three ski resorts of Mount Etna during the months of the winter season and you can avail car parks, guided drives, hikes and hotels apart from the exclusive skiing opportunities. Check the eruption condition of the Etna mountain before you head out. When you go to Mount Etna, make sure you make the most of your trip at Sicily’s Beautiful Mountain and allow it to cast its black magic on you. Pack Your Bags, Its Majorca Calling!